^ Natalia Dubrovinskaia et al. (2006). “Superior Wear Resistance of Aggregated Diamond Nanorods”. Nano Letters 6: 824–864. doi:10.1021/nl0602084. ^ Yarnell, Amanda (2 February 2004). 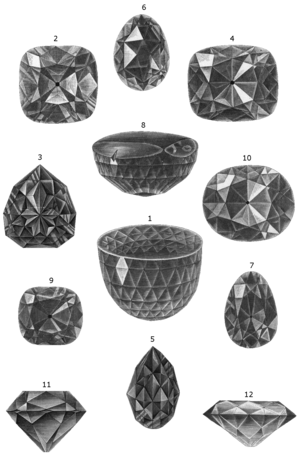 “The Many Facets of Man-Made Diamonds”. Chemical & Engineering News (American Chemical Society) 82 (5): 26–31. 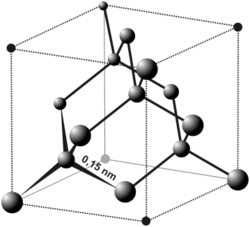 ISSN 0009-2347. http://pubs.acs.org/cen/coverstory/8205/8205diamonds.html. ^ Laboratory Grown Diamond Report for Gemesis diamond, International Gemological Institute, 2007. 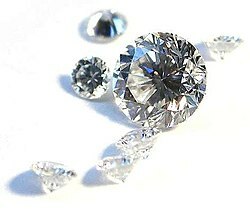 ^ Gemesis lab-grown diamond site goes live, National Jeweler, March 19, 2012. 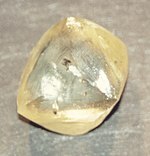 ^ DeMarco, A. Gem-Quality White Diamonds Created in Laboratory, Forbes, March 14, 2012.